MVM Entertainment continues to shift around its release schedule and now new release dates have been issued for Battle Girls High School, Grimoire of Zero, Sword Oratoria: Is It Wrong To Try To Pick Up Girls In A Dungeon? On The Side and Higurashi: When They Cry. So; what’s changed? Well firstly Battle Girls High School, which was due to be released on the 24th September 2018, will now be released a week later on the 1st October 2018 as standard Blu-Ray release. 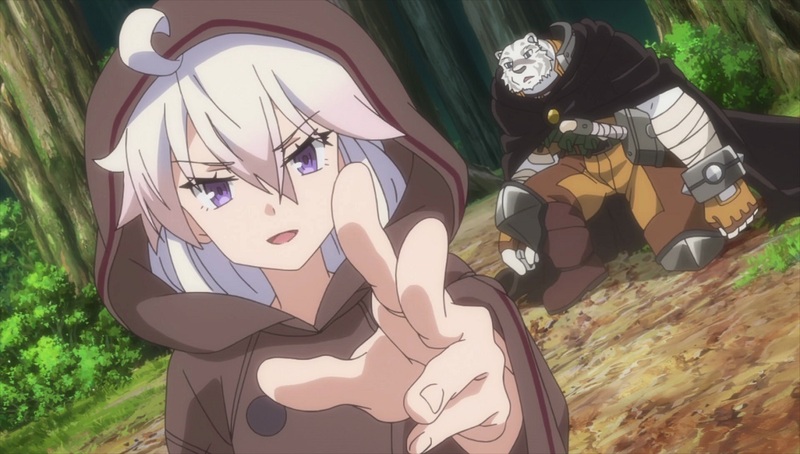 Grimoire of Zero, was originally scheduled to be released as standard Blu-Ray and DVD sets on the 24th September 2018, and then later delayed to 3rd December 2018. Now MVM Entertainment will be releasing the series as a Collector’s Edition Blu-Ray and DVD Combo Pack on the 5th November 2018 with standard edition formats due on the 7th January 2019. Sword Oratoria: Is It Wrong To Try To Pick Up Girls In A Dungeon? On The Side was originally released as a Collector’s Edition Blu-Ray and DVD Combo Pack release on the 3rd September 2018 but the standard edition Blu-Ray and DVD sets have now been pushed back to the 3rd December 2018. Finally Higurashi: When They Cry, which is being released as individual seasons on DVD and as a Complete Collection release on Blu-Ray, will still continue to be released in this manner with the first season being released on DVD on the 24th September 2018. The Complete Collection Blu-Ray set however has been pushed back to the 19th November 2018.